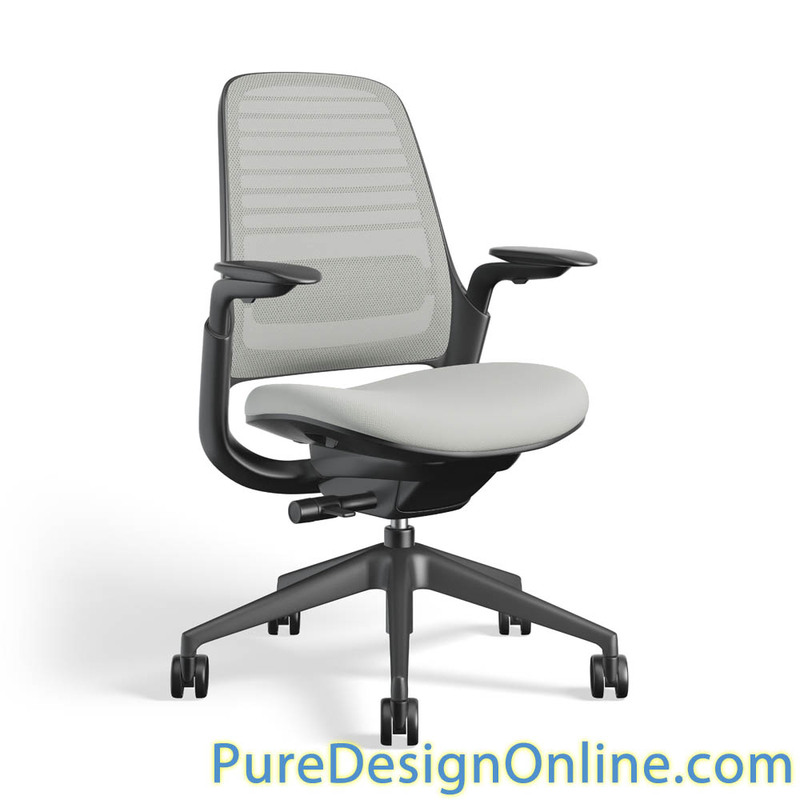 Series 1 Work Chair by Steelcase (SCSERIES1) at Pure Design / Seating / Workspace ::: Furniture for the Home, Office, Home Office, and More at Pure Design Online! Steelcase Series 1 Chair makes high-quality seating attainable for everyone and everywhere. It delivers performance, style and choice, unprecedented in its class of seating. Best in class. A new class. Also available with a Polished Aluminum Base (+$81), or Soft Casters for hard floors (+$15). This item can only be shipped to street addresses in the contiguous 48 United States. Please allow up to one extra week for delivery.